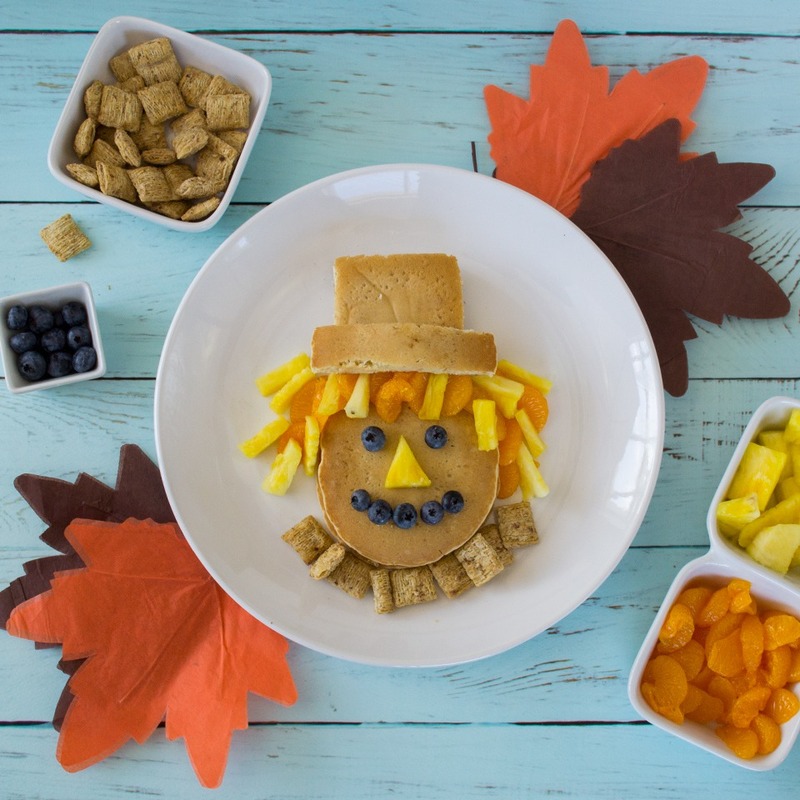 This silly scarecrow creation is the perfect Fun with Food activity for fall. Made with De Wafelbakkers Buttermilk Pancakes, shredded wheat cereal and fresh fruit, it's sure to satisfy your tummy and imagination! First, microwave pancakes according to instructions on the package. Once pancakes have cooled, start your scarecrow by cutting out a few simple shapes – a large square and a rectangle about 1 in. wide. Place a full-size pancake on the plate with the square pancake above it. Add pineapple pieces and orange slices to make the scarecrow’s “hair”. Then, add the rectangle pancake to complete his hat. Lastly, create a face from blueberries and pineapple and line up a row of shredded wheat cereal for the collar. Now that’s one handsome, hearty scarecrow!